Proper Attic Ventilation: A Breath of Fresh Air for your Roof. As the summer swelter takes full effect and temps rise to annual highs, the circulation of cool air is important throughout your home—as well as your attic. In fact, homeowners who understand the need for proper attic ventilation enjoy more efficient cooling bills, a longer lifespan for their roofs and the avoidance of costly problems down the road. The Importance of Doing it Right. Attic ventilation, done to professional standards, ensures a constant cycle of fresh air while keeping the attic cool in the summer. But here’s where it works hardest to benefit your home: Ventilation reduces the risk of fires, prevents wood from rotting, stops mildew from forming and equalizes your roof and attic temperatures to guard you from roof damage in the future. Even in the cold months, proper ventilation prevents the buildup of moisture, ice dams, and condensation that can allow mold to collect and damage the boards your shingles are nailed to. It’s simple: A roof that breathes year-round enjoys fantastic protection and longevity that others do not. That’s not only good for you, but also good for any other parties involved in your roof, such as shingle manufacturers, who will often void a guarantee if the roof and attic don’t have proper ventilation. 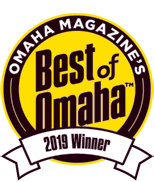 For expert attic ventilation, roof repair, installation or any related service requiring professional attention, you can always call the roofing experts serving Omaha, Papillion and La Vista since 1987.